Every year, the Trustees of the Social Security Trust Funds urge Congress to take action on the gaps developing in the beloved program’s finances. Just as frequently, our law makers do nothing. Typically, pundits explain the gap between reason and action as the rational response of a political class to the career-killing consequences of talking about Social Security or Medicare. At this point, the narrative is so pervasive that everyone pretty much blindly accepts that the fabled “third rail” is as electrified as ever. The metaphor implies that issue of Social Security is electrified – touch it and you faced certain death politically. It dates back to the 1980s when the finances of Social Security were very different. The problem was small, and options were plentiful. Specifically, the program faced a short and shallow period of insolvency. The remedy for those gaps was little more than gradual changes that mainly affected those 17 and younger. In that situation, major reform is impossible, and politicians would have died politically for suggesting it. Today, on the other hand, the current numbers point to a deep insolvency that grows forever, affecting people who are now in their 70s. 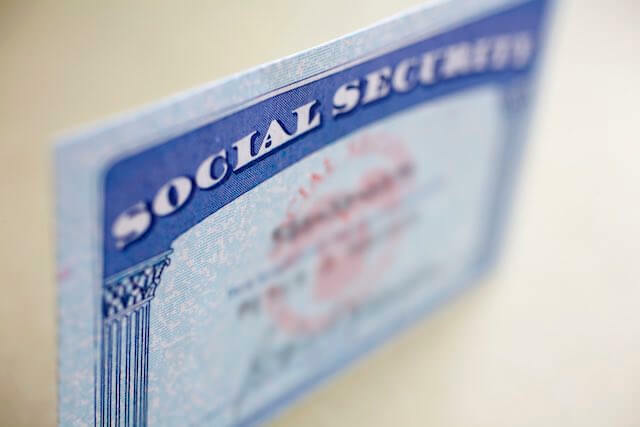 Specifically, the Social Security Administration believes that about half of those turning 71 today will be turning 87 as the system reduces benefits. In this case, the strategy of stagnation exposes these Americans to the worst of the crisis. In this scenario, it is much more difficult to understand why older voters would stymie any reform effort. Maybe they do not fully comprehend the size of the approaching crisis. Maybe they believe that they will be exempted from change if they can prolong it. The one thing that makes no sense is the idea that older voters would intentionally insure that trillions of dollar of misery falls on themselves as individuals. In 1983, the solution was as simple as Congress agreeing with itself that people who were 17 and younger at the time would pay vastly higher taxes, and absorb the benefit cuts that voters would not even consider. Lawmakers didn’t have to face any angry voters. Unfortunately, the strategy of the past complicates our situation today. The 17 year old is now 52. The 1983 reform reduced benefits of this worker by nearly 25 percent. He has paid record payroll taxes for his working career, and now expects to retire in 2033, which is the year before the program augurs another 20 percent plus reduction of benefits. This scenario makes benefit cuts today nearly impossible because any reduction on someone in this group is layered on top of the 1983 reductions that are only now being phased in. On the other hand, if we do not revisit this same audience for savings, reform by reduction will be completely ineffective. The agreement in 1983 took most of the low hanging fruit. It expanded the coverage of Social Security to government workers, increasing the coverage to 94% of the workforce. Also it added the taxation of benefits, which now recovers as much as 33 percent of the benefits paid to the wealthy. There is no low hanging fruit – there isn’t even a tree left. From the politician’s point of view, the 3rd rail narrative is a blessing. It provides a reasonable shelter from criticism for the lack of progress on stabilizing the nation’s largest and arguably most important program. They reason that stagnation isn’t their fault. The problem is the nameless voter who will punish any lawmaker responsible enough talk about change. Less understandable is the public’s tolerance of a cliché 30 years out of date holding reform of the nation’s largest program hostage.